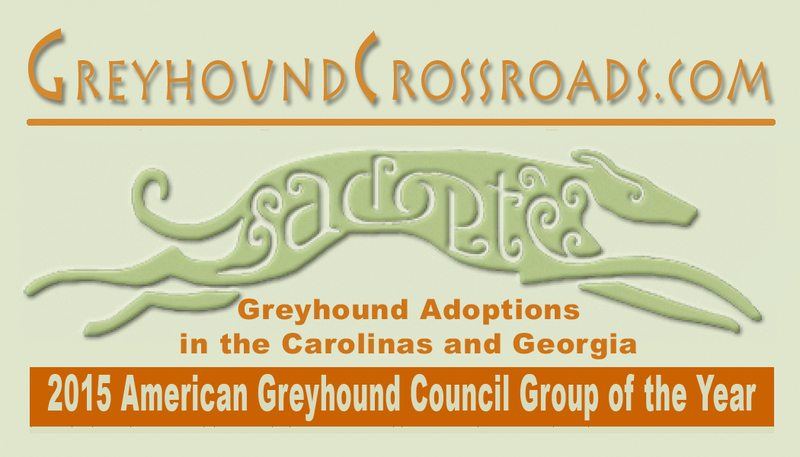 Greyhound Crossroads is run entirely by volunteers we need everything from drivers to transport dogs to vets to foster homes. 1. Help us transport dogs. We welcome help from people willing to transport fosters. We often have greyhounds sent up to us from the tracks on large haulers that need to be met on the Interstate by volunteers. We sometimes need several drivers to each take a leg to get them long distances to their foster homes in SC, GA and NC. We also need help getting the dogs from the foster homes to our vets. 2. Help us staff meet and greets. These are usually held at pet stores - like Petsmart or Petco. We take fosters there to meet the public. We also educate people about what our adoption group does. 3. Read newspapers and online for ads pertaining to selling, rehoming or lost greyhounds. We always keep a watch for greyhounds and will take them in - even if we didn't adopt them out. 4. Help us make connections with the organizers of local fairs and festivals. We try to be involved with as many of these as possible. 5. Shopping. Do you shop in thrift stores? Keep you eye out for items that we can use- Twin comforters and blankets for crates, extra large 48" long crates, foster leashes and dog bowls. Gift cards for gas or foster food are very helpful. 6. Fostering. We need people willing to foster!!!! We don't use a kennel so rely on our volunteer foster homes. This is one of the most important and most rewarding tasks that we have. See our Foster Care page for more information! 7. 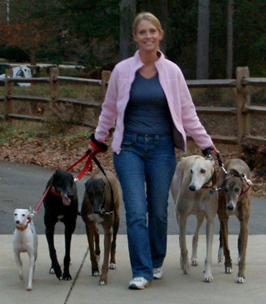 Carry business cards in your pocket when you are in public with your greyhound. Someone WILL ask you!